And they’re off! Like a day at the races, preparers and auditors – as well as business managers - are clamoring to digest FASB's new standard on Leases (Topic 842). Although implementation is due a few years out, information will need to be captured for prior year comparisons, and certain SEC requirements, like SAB 74, also come into play. What are the top three things companies should do now? KPMG experts respond. And they’re off! Like a day at the races, preparers and auditors – as well as business managers − are clamoring to digest the new standard on Leases (Topic 842) in the official “rulebook” of U.S. Generally Accepted Accounting Principles, the Accounting Standards Codification. The Financial Accounting Standards Board has officially opened the implementation gate by releasing the game-changing new standard. Lessors may also be significantly impacted under the new standard if the changes to the accounting model for lessees translates into an economic impact for lessees (e.g. by impacting the ability to raise capital due to changes in lessee’s leverage ratio or other key ratios). The Lease Accelerator report also points out that the effective date of the new leasing standard, for all intents and purposes, can be viewed two years earlier than the stated effective date of 2019 for public companies (2020 for all other entities), due to requirements of the Securities and Exchange Commission that public companies provide three years of comparable income statement data and two years of comparable balance sheet data. The FASB permits a “modified retrospective” transition approach and offers certain “practical expedients” to apply at initial adoption. Nonetheless, companies will want to gear up to capture information, even if retroactively, and ideally on a current basis as soon as practicable, to enable comparative reporting when the first published financial statements are required in 2019 for public companies. Another consideration coming into play ahead of the effective date of the new standard, is the SEC’s requirement under Staff Accounting Bulletin No. 74, Disclosure Of The Impact That Recently Issued Accounting Standards Will Have On The Financial Statements Of The Registrant When Adopted In A Future Period. SEC Deputy Chief Accountant Wes Bricker reminded registrants of this obligation when he concluded remarks on another of FASB’s major new standards, the new standard on revenue recognition, Revenue from Contracts (Topic 606) (as amended by deferral of effective date to 2018 for public companies, and 2017 for private companies). “As companies prepare their annual financial statements over the next couple of months, we are looking forward to reviewing more detailed disclosures about the expected effect the new standard will have on those financial statements [Footnote 9 referencing SAB 74],” Bricker said. “If that effect is still unknown, then in addition to making a statement to that effect, a registrant may consider advising investors when that assessment is expected to be completed. Again, this is about providing useful information to investors who need time to analyze the impact on companies. Another responsibility when implementing a new accounting standard is to gauge the impact on, and update as appropriate, internal controls over financial reporting. SEC Deputy Chief Accountant Brian Croteau provided a reminder on this point, in his remarks at the AICPA’s December conference. “It is important to give ongoing consideration to implementing or redesigning controls as necessary in connection with the application of new accounting standards and policies,” Croteau said. “Such changes in accounting have the potential to significantly impact many important areas of financial reporting. Management’s ability to successfully transition to new accounting standards will depend, to a large degree, on the effective design and operation of ICFR. I’d also remind management to consider its quarterly obligations to disclose material changes to ICFR, including in situations where such changes are made in advance of the adoption of a new standard, but also impact current period financial reporting. 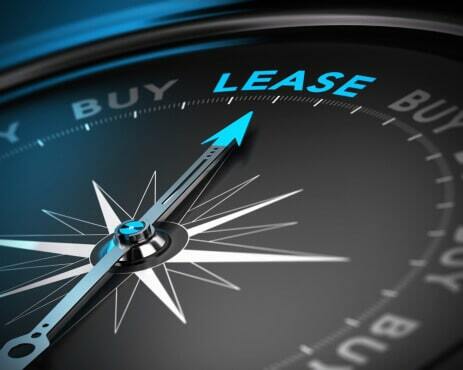 Recognizing the depth and breadth of the implementation exercise on FASB’s new leasing standard, we asked leasing experts what the top three things are that companies should do now. Additional information can be found in KPMG’s Defining Issues, FASB Balloons Balance Sheet with New Lease Accounting Standard. MACPA’s Annual Business and Industry Conference (May 13 at the Baltimore BWI Hilton), including an update on the latest FASB standards, as well as updates on strategic finance, enterprise risk management, cybersecurity, Big Data, and more.